But, sometimes you want additional or different information. We’re going to cover how you add some Cues to this panel. 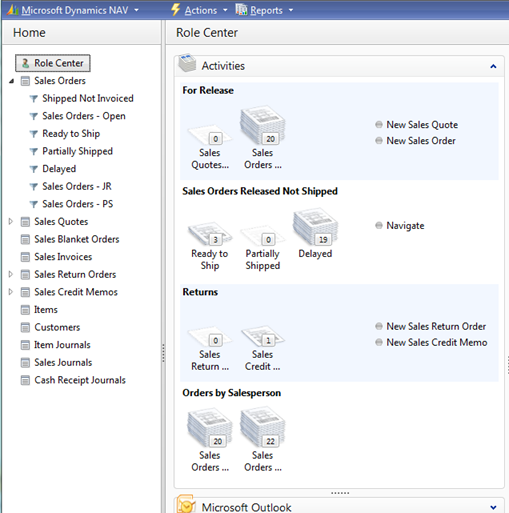 In our example, the Sales Coordinator uses this Role Center and wants insight into how many orders are open based on which Salesperson, John or Peter. We’ll need to add some FlowFields to the table the Cue’s come from and then add the Cues to the Activities Page. The Captions are there, despite us not having set them. But, they’re not terribly useful. So, for our example, we might re-caption them to “John” and “Peter”. That’s a customer preference question. 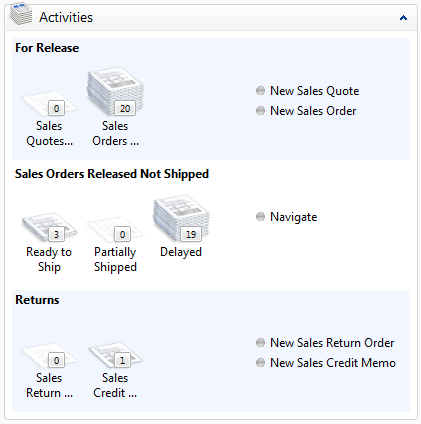 More notably, take a look at the bottom of our Navigation Pane: We have two new “Sales Orders” options that aren’t tucked neatly under the Sales Orders item. You’ll also find that the new Cues report the correct information, but when you click on them, nothing happens. These last two are both because of a Property on the Fields on the Activities page: DrillDownFormID. If that is not set at all, clicking on the Cue will do nothing. 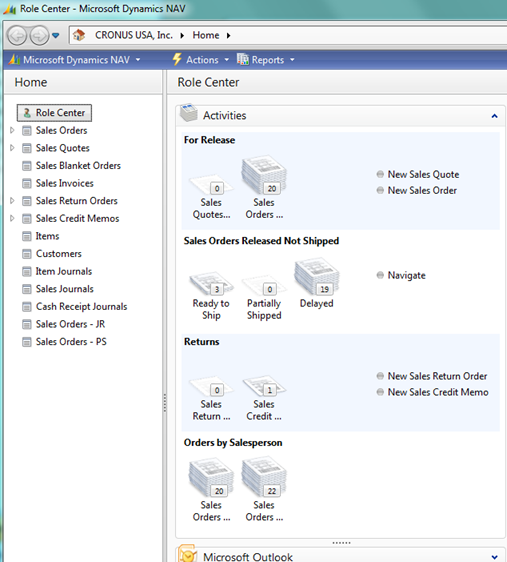 If it is set to a List page and that List Page already exists as a HomeItem on the RoleCenter Page, then the Cue will be placed as a sub-item to that HomeItem. One final parting note: When Users customize the Activities Part, bear in mind they can show/hide the Cues themselves, but not the Group Headings. Often, it’s better to add more Cues to a limited number of Groups than it is to add lots of Groups. NAV Development Cue, NavigationPane, RoleCenter. permalink. 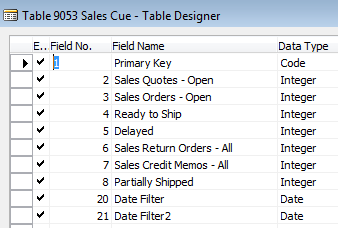 Is it possible to removing “Sales Orders – JR” from navigation pane without delete the cue..?